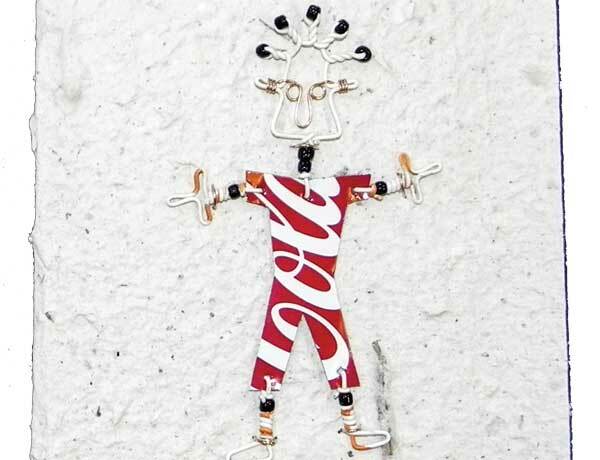 Made out of recycled PVC pipes, these hand-carved unisex bracelets are one of a kind. They are fair trade products, ensuring a better income for the artisans. Discarded plastic pipe is collected, hand-cut and carved. The unique colouring of the bracelets is the result of exposure to direct sunlight and deep red ochre tinted soil found in certain parts of Namibia – such as northern Namibia. 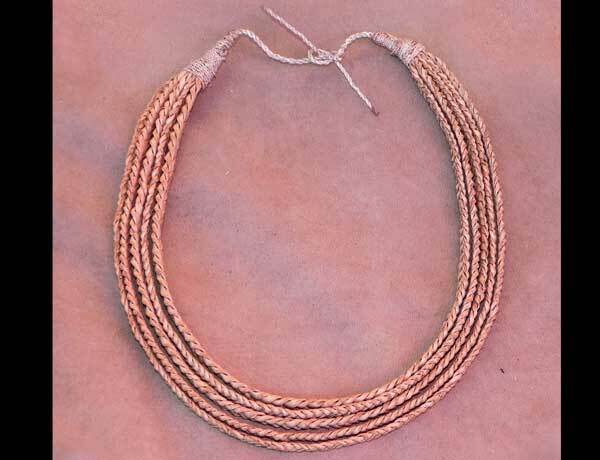 These accessories are traditionally worn by the Ovahimba people of the Kunene region. 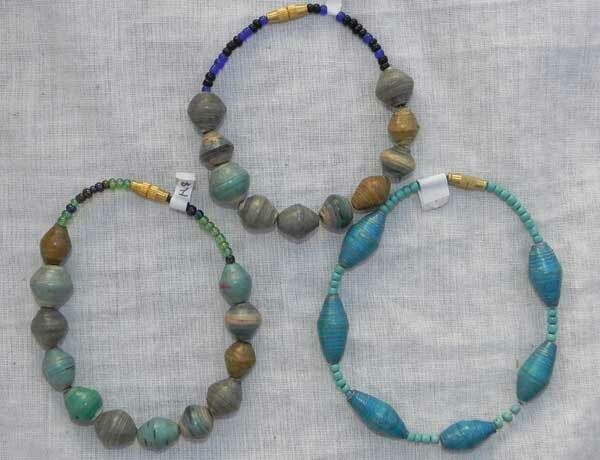 The appearance is comparable to bone or horn, but no animals are harmed in the process of producing these bracelets. You can find Mary at the Bio Market every Saturday morning or outside Joe’s Beerhouse on weekdays. Contact her at +26481 616 5444. Mary at Blessed Art creates these innovative recycled newspaper bracelets in a variety of colours to make a statement for ecological responsibility. The beads are individually hand-rolled out of shredded paper, tightly shaped with the aid of glue and lightly varnished for durability. The light water-based varnish is non-irritating to exposed skin. The !Nara is a thorny shrub endemic to the Namib Desert. 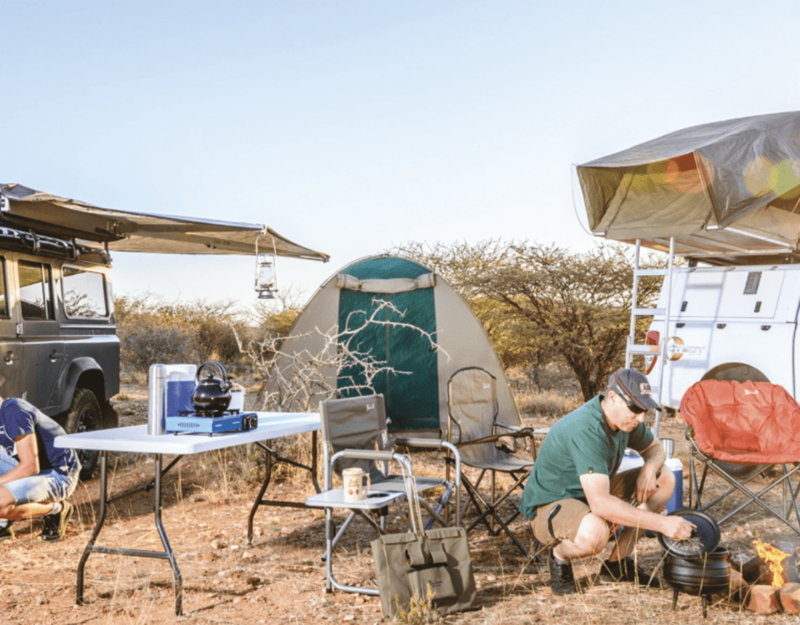 The Topnaars who live in the Namib have for generations used the oil from crushed !Nara seeds to nourish and protect their skin in the harsh desert conditions. The plants which are now processed commercially for !Nara skincare products are either certified organic or wild harvested. The new Natural Organic range was formulated together with a team of experts in organic skin care science. The high permeability of !Nara oil is fully utilized to carry anti-oxidants, vitamins and essential moisture deep into the skin, to keep it naturally balanced and protected. 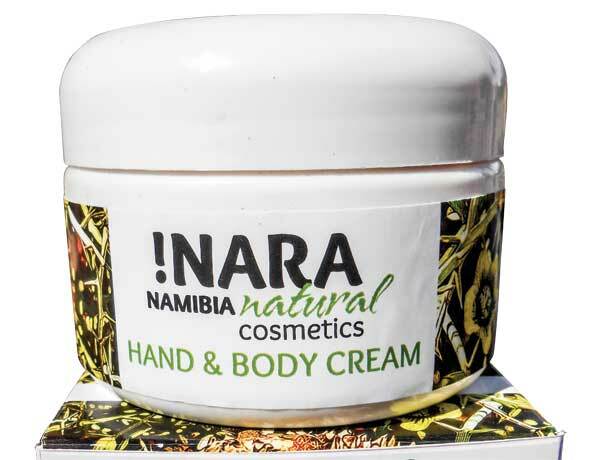 All of the products contain pure cold pressed Namibian !Nara seed oil which is rich in omega-6 fatty acids. You can purchase the range on Saturdays at the Desert Hills farm stall, plot 103 Swakop River plots, or at the !Nara Shop in the new Cosdef Arts & Crafts Centre in Swakopmund. Contact Stefanie Huemmer at +264 64 461361 or visit their website at www.nara.com.na. boundaries each year to create a fresh range of products and showcase a different perspective on African handiwork and crafts. 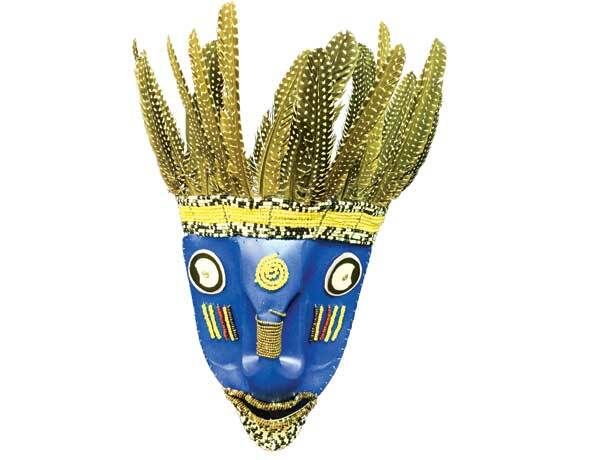 To purchase one of these colourful masks and support the !Ikhoba project contact +264 61 226710 or email ikhoba@iway.na. Maria Nembwaya at the Post Street Mall Market during the week. Contact her at +26481 357 3235. Miracle Arts & Crafts was started by Elisabeth Hangara in 2007 when she decided to give Namibians a glimpse of the artistic vein of the country by sourcing a variety of handmade crafts from all over Namibia. Among the items you’ll find at her stall are fragile and elegant elephant dung paper cards. Don’t fret: the cards are hygienic and odourless. Cleaning the dung is one of the most important processes when making this paper. 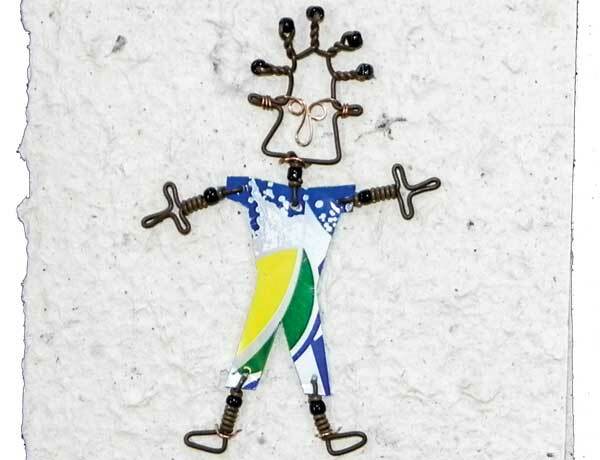 The front of each card bears a wire and tin character made with the greatest attention to detail. The cards are perfect for any occasion. Added to that they are 100% recycled, eco-friendly and no trees were harmed for their production. Contact Elisabeth at +264 81 312 1660.